Eight-hour workdays can be especially taxing if you do not work a desk job and are required to stay on your feet all day long. Employees are assured certain breaks from work with an appropriated compensation. Employees should be rewarded for their hard work with suitable break time, travel time, minimum wage, etc. Massachusetts has provisions in place to make sure all employees are treated with the proper care and attention. Does my employer have to give me two 15-minute breaks per day? Any employee who works for a period more than 6 hours must be given one 30- minute break for lunch. This one half-hour meal break is unpaid. An employer is not required to give any other breaks throughout the day other than a single meal break. Must I be paid for time that I am “on call”? The U.S. Department of Labor’s Fact sheet #22 reports that any employee that is on-call while at a work site or on employer’s premises is compensable. If an employee is on-call at his home or is allowed to leave messages where he can be reached, he is not considered compensable in most cases, with exceptions. Must I be paid for time I spend traveling to work? Ordinary travel time to and from work is not compensable working time. An employee that works at a fixed site and is traveling to anywhere different than his regular fixed site, will be compensated for all travel time and be reimbursed for associated travel expenses. All traveling is covered if it is outside the employee’s typical commute to and from work. If an employer requires an employee to report to a site that is not his typical site and to take transportation, the employee is compensated for all subsequent time after his report time begins and includes any subsequent travel to and from the work site. An employee that is directed to travel from one place to another after the beginning of or before the end of the work day will be compensated for all travel time and be reimbursed for all traveling expenses. If an employee’s travel requires he be away from home overnight he will be compensated according to Massachusetts regulation 29 C.F.R. 785.39. How old must a child be to babysit in Massachusetts? According to the Fair Labor Division under the Office of the Attorney General, minors under the age of 14 cannot work. However there are exceptions, such as babysitting, working as a news carrier, working on farms, or working in entertainment with a permit. Minors from ages 14 to 17 in Massachusetts need a work permit to be able to work. After 8:00 PM all minors under the age of 18 must be under the supervision of an adult or supervisor while working. Employers are required to give an employee two hours leave after the time the polls open in their respective town or city to vote. It is in the discretion of the employer is he compensates the employee’s leave to vote. Must employees be paid time and a half for Sunday work? An employer must pay overtime for an employee working on Sunday if the employee works more than 40-hour weeks or if the respective union requires overtime pay for work on Sunday. Retail stores may not require its employees to work on Sundays and may not punish any employee that refuses to work on Sundays. Non-managerial employees must be paid time and one-half while working on Sundays. Employees may not work seven consecutive days. Violations of this provision are punishable by a fine of up to $1,000. Mass. Gen. Laws chapter 136, section 6 under articles 1-55, specifies the extent of operation of all businesses on Sunday. Can tipped employees be paid less than minimum wage? As of July 1, 2017, employees may be paid less than minimum wage at a rate of $3.75 per hour if they receive more than $20 a month in tips. Any employer who chooses to pay its employees $3.75 per hour must notify the employee first, and the employee must receive at least minimum wage when tips and wages are pooled. If wages and tips do not combine to be validly assessed as minimum wage, the employer is required to pay the difference. Tips must be distributed through a valid tip pool. An employee must be paid for at least 3 hours of work if he was scheduled for three hours of work or more. According to the Massachusetts regulation 454 CMR 27.04(1), “when an employee who is scheduled to work three or more hours reports for duty at the time set by the employer, and that employee is not provided with the expected hours of work, the employee shall be paid for at least three hours on such day at no less than the basic minimum wage. I’m an employer. What posters do I need and how do I get them? Employee-employer relationships work smoothly if both parties follow the regulations laid out for them under state and federal laws. 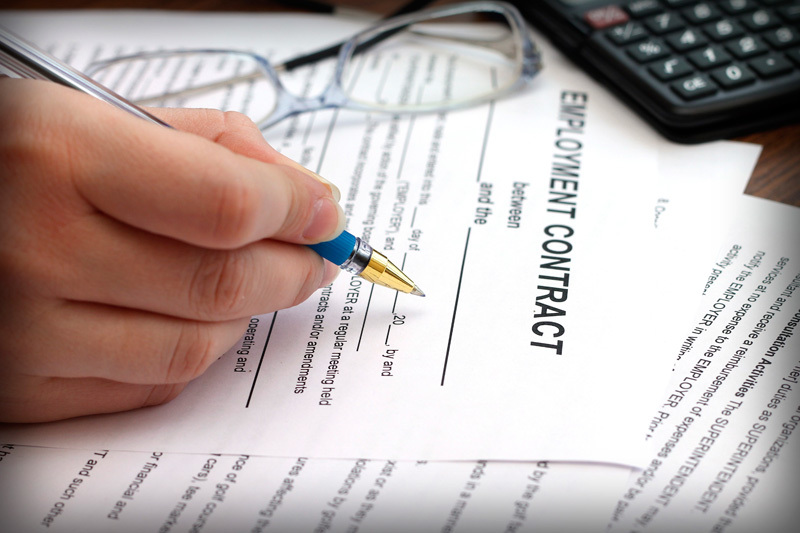 Should you have any questions regarding your employment or Massachusetts employment laws, do not hesitate to contact attorneys at the Murphy Law Group at (978) 686-3200.